Christa Jolene Wiemer Johnson peacefully left this earth on April 1, 2014 after a four and a half year battle with cancer. In the final days and weeks preceding her death she was surrounded by loved ones. She passed away in the early morning hours with her daughter, Cassidy, and mother, Sharon, by her side. Christa was born to Randy and Sharon Wiemer on September 30, 1978, in Davenport, Iowa. However, since the age of 1, and with the exception of a few years in Idaho, she has called Arizona her home. In her youth and throughout her life she has been extremely active in sports and in her church. In 1997 Christa married Morgan Lund Johnson in the Mesa, Arizona LDS Temple, and they had four children together: Cassidy, Lund, Sarah and Will. Christa loved life! She built her life around family; especially her children. She was quick to love and serve everyone she met. 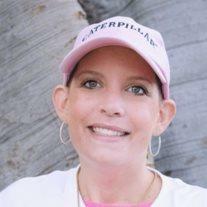 With determination and faith Christa courageously fought cancer since November, 2009. Even during this struggle she looked for and recognized the many blessings and miracles in her life. Christa was also quick to show love and support for others experiencing similar trials. As a talented writer and photographer, she left a legacy of love, optimism, and courage in the face of adversity through her on-line blog “Johnson Stories.” Her quick wit and compassionate heart have helped her to be an inspiration to all. The unquestioning faith and strength that Christa has shown will light the way for many generations to follow. She is survived by her husband, four children, her parents, and siblings: Alisha Newman, Becky Rogers, and Ryan Wiemer.